Groves’ residents and guests enjoy a state of the art, multi-functional Clubhouse (Civic Center). 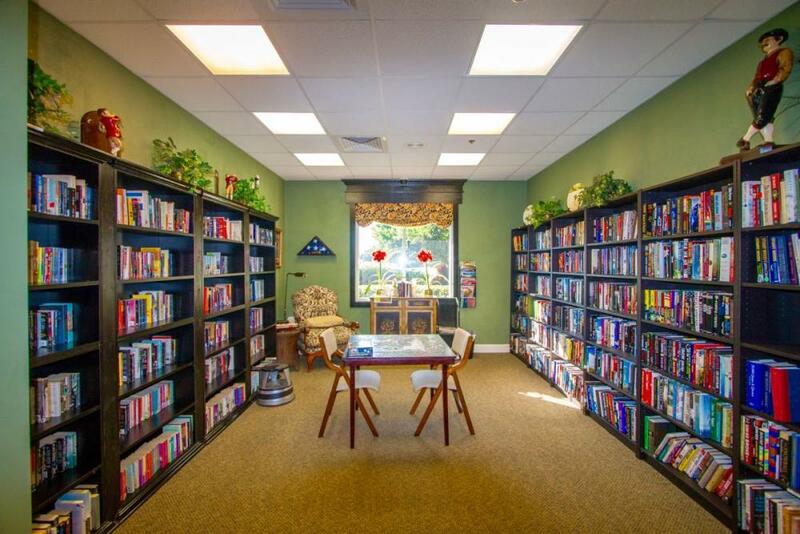 This busy facility offers several rooms to host a number of fun activities: Library/Media Center, Craft Room, Fitness Room, Pool/Hot Tub Area, Ballroom, and Card Room. These activities can range from checking out email to playing scrabble or cards to attending a special celebration. In the Media Center residents can read, study, or even put a jig-saw puzzle together. It houses two computers with internet access and has a library of books, videos, and games donated by the community. 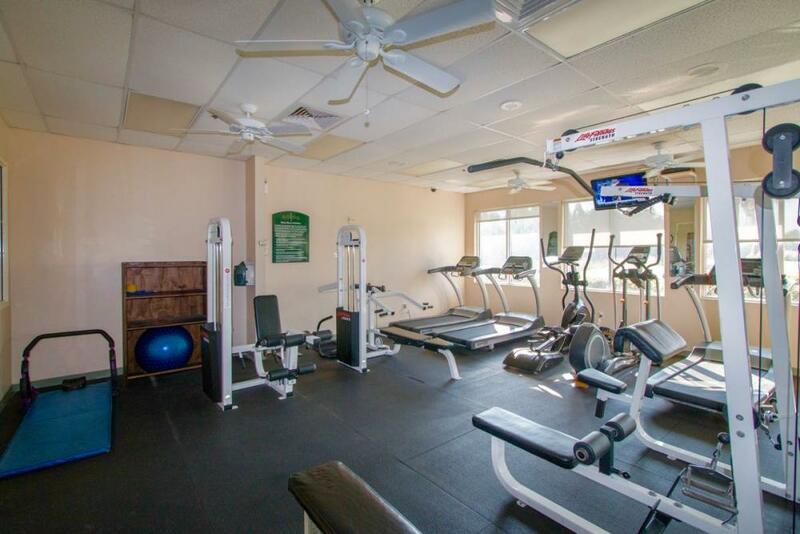 The Fitness Room provides residents opportunities for organized and individual physical activities. It houses a variety of professional equipment: tread mills, stationary bikes, elliptical machines, weight lifting equipment, hand weights, and mats. 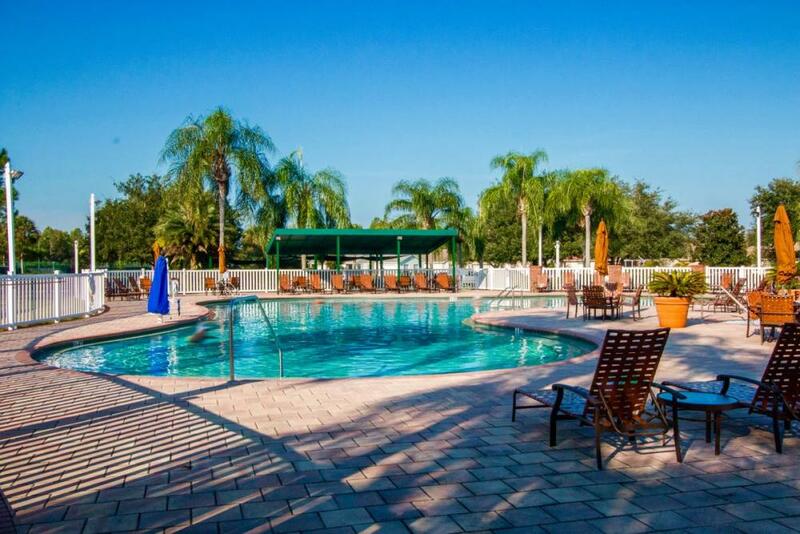 The Pool and Hot Tub Area offers recreational swimming, water aerobics and a nice area to relax. The hot tub is there to soothe sore joints and muscles and provides a chance for residents to chat. In Our Craft Room artists, ceramists and painters create delightful projects under the guidance of expert teachers. Also groups such as The Book Club, actively discuss their latest novel or project there. The Ball Room and adjacent Card Room, are both used for a variety of functions. The Ball Room can be scheduled for group meetings, large and small, such as Garden Club or Bible Study, or Bingo once a month. Individuals and clubs also book this room for plays, musical events, dances, or special gatherings. The adjoining Card Room provides a nice place for card players to engage is a hand of bridge, poker or other game of choice. Our multi-purpose Clubhouse offers Groves’ residents so much to enjoy. Something is always happening from Karaoke to a fashion show fund raiser. Stop by the Guest Services Desk and ask what’s happening at the Groves!